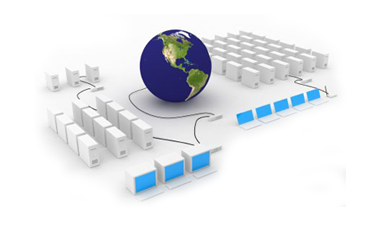 Choosing a long term web service provider can be a frustrating process. We know it because we looked before. We know you ‘re looking for a company that combines all of the right features for the right price. You’re looking for a company that respects you as a business partner or as a valued user, that will do everything possible to make you happy. There’s a thousand other payroll software out there… why should you choose Avelogic and SmartHRMS? 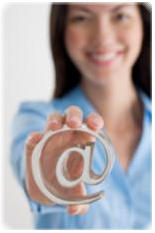 Avelogic’s number one goal is customer satisfaction. Our team works harder together to make that possible. So whether it’s walking you through a user lesson or account setup, or troubleshooting a CPF submission, we’ll do what it takes to keep you happy wherever we can. We offer an online Knowledge Base, documenting just about everything we offer and know. If you can’t find it there, our Customer Care team would be more than happy to help you. In addition, if you ever have an issue with our quality of support, you can do something about it through our Quality Control Center. We understand that true concern for clients is something that our competitors are lacking, and we firmly believe that we can use that to our advantage. Avelogic is a socially responsible company that privately contributes to many community based organizations, assisting them in their efforts to provide a wide range of information and services. 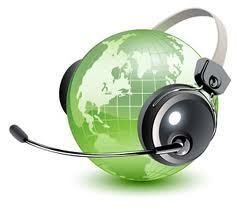 Avelogic also offers non-profit based organizations heavily discounted prices for our services. Community groups focused on peace, environment or social justice may also be eligible for our special consideration. To guarantee our clients needs are met and exceeded, Avelogic’s business plan is built to ensure our company is, and always will be financially secure. Through this plan, we achieved profitability just 2 months after we were founded. We do not invest in gimmicks that don’t work and we don’t waste money on pointless advertising that could be used to further enhance Avelogic’s range of software & services. We intend to be around for a long time, and we intend on continuing to supply first class web services for many years to come. Our SMART HRMS offer a wide array of options and support for time attendance systems and secured data encryptions, not to mention the many value added functions we provide without charge for our clients from time to time. Avelogic also provides many features in payroll usage and shift management as well as availing affordable human resource capabilities to smaller companies. Add to all this powerful tools such as AveDLock for highly secure transactions; and you have one of the most power-paced payroll and HR solution around. We are based in Singapore, but have the vision of providing a fantastic software product to the world. Our staff and business partners are distributed around the Asia Pacific region. Whether you are from the USA, Australia, Europe, South America, the Middle East or Asia, you can be assured of superb support from a company who truly cares and understands the needs of the international partners. Housed in a Tier-1 data center in Singapore with high levels of security, plenty of UPS backup power, stand-by diesel power generator, and N+1 redundant HVAC systems, our clients rest easy in the knowledge that their data is stored in a truly reliable environment. In addition, our highly secured and encrypted database provide protections from any snooping eyes, and frequent backups ensure the safety of all our clients’ data even in the case of a disaster. People feel comfortable sending their friends, family, and clients to us because they know that we will not only meet, but exceed their expectations. Beside that we provide an opportunity for budding entrepreneurs to earn money at the same time. With an affiliate program that offers up to 20% commission, and a business partner program designed with the long term partnership in mind, a partnership with Avelogic makes good financial sense. 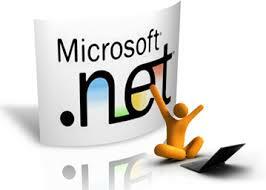 The basic idea behind using Microsoft .NET platform is simple. Our technologies must not only be state-of-the-art, but must ensure a gradual upgrade path to stay away from obsolescence. When you contact our Customer Care, you have the opportunity to work with the same people that developed the software you’re using. 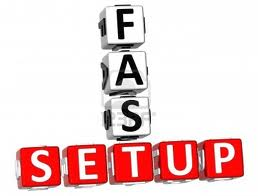 When you sign up, your account will be created within an hour, and assuming that your payment has been cleared, you can begin work right away. We send you notices when your subscription with us is near expiration, or when we’ve successfully received your GIRO payment etc. We look forward to fulfilling your payroll and HR needs. If you would like further information or obligation-free advice; please don’t hesitate in contacting our friendly support team. You can submit your questions via Request Quotation/Enquiry.